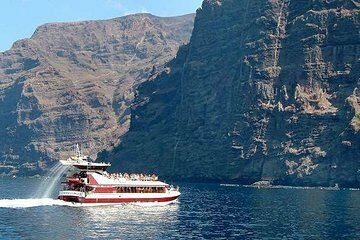 Enjoy a glass-bottomed catamaran cruise along Tenerife’s Costa Adeje. After a convenient hotel pickup, board The Royal Dolphin and watch for pilot whales, dolphins, and the amazing cliffs of Acantilado de Los Gigantes—or kick back and enjoy the live underwater monitor. Enjoy drinks and lunch included in the tour price and cool off in the clear waters of Masca Bay. During the booking process we will request your accommodation details to organize your pick up. Pick up details will be informed 24/48 hrs before the cruise date.